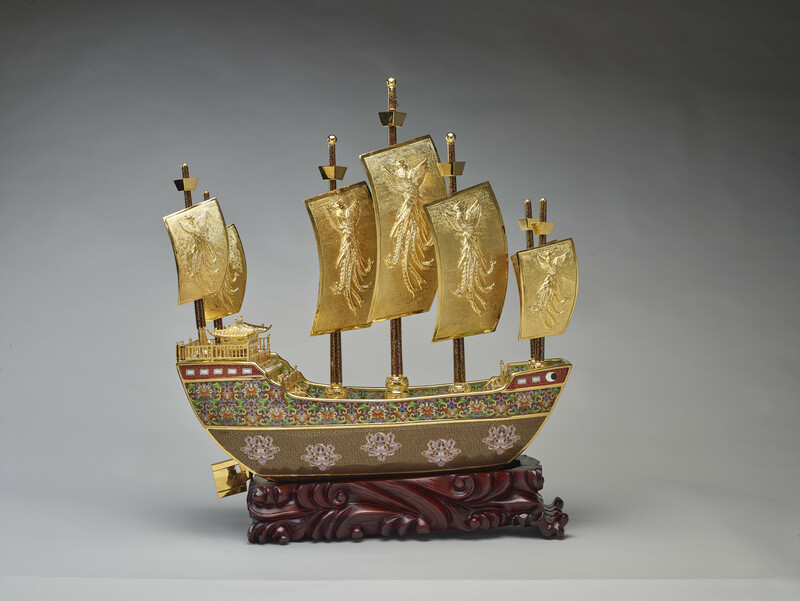 This is a model of the treasure ship sailed by the navigator and diplomat Zeng He of the Ming Dynasty. 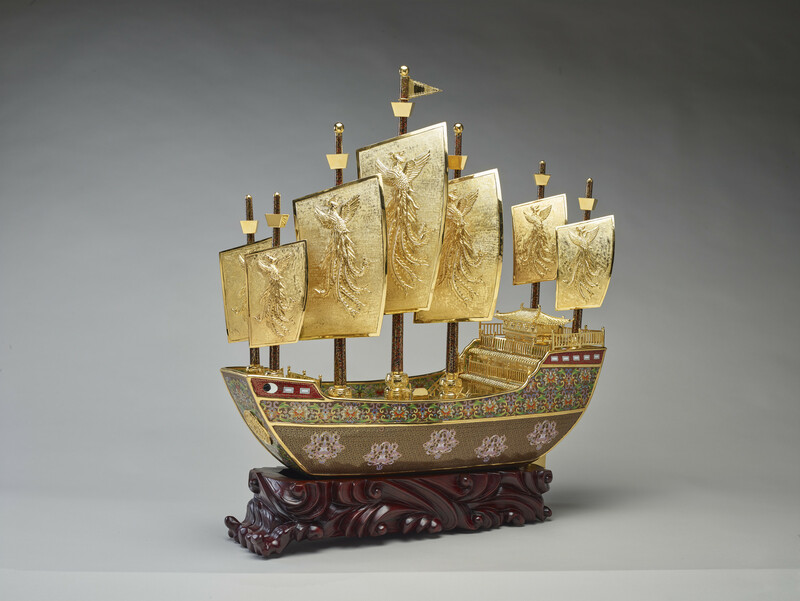 The prow of the ship is decorated with a dove and olive branch medallion, emblematic of peace, whilst the sides of the hull are decorated with elements from Dunhuang frescoes, as well as traditional Chinese symbols of friendship and peace. Presented to Queen Elizabeth II by President Xi Jinping of the People's Republic of China during his State Visit to the United Kingdom, 20–22 October 2015.